I’ll be the first to admit it: I’m a Riesling fanatic. Of all of the wines in my cellar, a good 75% of them are made from Riesling. From the zesty, limey, bone dry Australian Rieslings from Eden Valley to the lusciously sublime botrytized German TBAs (Trockenbeerenauslese), I believe there’s no grape that’s more diverse or more food friendly. Yet in most circles I’m alone with my enthusiasm for the grape. Many of my male friends think their penises will shrink if they dare to sip any wine that may have a hint of sweetness to it, and still others believe that the only white wines worthy of prestige come from Burgundy. Yet once upon a time, Riesling was the most prestigious wine in the world. In the 19th century, German Riesling was more sought-after and pricier than the top red wines from Bordeaux. Unfortunately the mid-20th century brought on a wave of mass-produced, low-quality versions, and Riesling has been trying to shed its image as a cheap sweet glugger ever since. Wines made from Riesling are sticky sweet. Untrue in most cases! Some of the driest wines I’ve ever tasted have come from Riesling. Young Trocken wines from Germany can be so searingly acidic that you can almost feel the enamel peeling off your teeth. Rieslings can range from bone-dry to tongue-coatingly sweet. While some of the finest dessert wines in the world are made from Riesling, such as the TBAs of Germany, the SGNs (sélection de grains nobles) of Alsace, and many ice wines from Canada, even the sweet versions, if they are made properly, don’t taste cloying because the high natural acidity balances out the sweetness. Only people with unsophisticated palates like Riesling. Another myth! While my mother, whose palate is questionable given her fondness for White Zinfandel, loves Riesling, she shares this affection with some of the most renowned wine writers in the world. Karen MacNeil, Jancis Robinson, and Terry Theise are all Riesling advocates. Some of them would even argue that Riesling, not Chardonnay, is the finest of the classic white varietals. Riesling won’t match well with the dinner I’m having. Well, if you’re having a T-bone steak, probably not. But because of its versatility, Riesling is one of the most food-friendly wines in the world. Afraid that wine is out of the question for your meal at the new Thai restaurant? Bring along an off-dry German Spätlese and make your palate sing. Think Riesling is too light for heartier fare? Try a dry Alsatian Riesling with grilled sausages—hey, remember choucroute is a classic dish in Alsace, and Riesling is one of its grandest grapes. Finger Lakes Rieslings go great with fish, as do Clare Valley Rieslings, especially if the fish is prepared with a spicy sauce. And don’t forget to pour a Riesling ice wine with that tarte tatin. White wines don’t age well. Not so when it comes to Riesling. Wines made from Riesling are among the most long-lived in the world. The combination of high natural acidity with residual sugar can mean decades of enjoyment. Dry versions of Riesling from top producers can usually last a good ten years or longer, and in general, the sweeter they get, the longer they age. The finest trockenbeerenauslesen wines from Germany have been known to last 100 years and still be delicious. So if you’re building a wine cellar, be sure to include some Rieslings in your collection! It doesn’t need oak to make it brilliant. While Chardonnay and many other white varietals are often insipid without a little gussying up from the barrel, Riesling is a natural beauty. It shines alone, defying manipulation at the hands of the winemaker. Because Riesling is an oak-hater, its sheer transparency makes it a pure expression of terroir. Depending on where its grown, you can get a sense of smoky minerality, rich earthiness, luscious fruit, or soft floral notes. Riesling thrives where no other grape can. Riesling is the Eskimo of the wine world, existing in extreme northerly territory, where nearly all other grape varietals and agricultural products fail to survive. The Mosel-Saar-Ruwer in Germany may be as far north as Canada’s icy Newfoundland, but its cool climate contributes to Riesling’s dazzling acidity and ageability. Riesling is a relative bargain for your cellar. As I mentioned before, Riesling is a great choice for the cellar. While the finest German TBAs are not cheap, you can still find some wonderful age-worthy Rieslings that cost significantly less than other cellar contenders such as Bordeaux, Burgundy, or Napa Cab. Riesling will seduce your palate with its myriad flavors. Peaches, apricots, honey, green apples, petrol, minerals, lime, orange zest, marzipan, honeysuckle, ginger, and nectarines. All of these words have been used to describe Riesling. How many other wines can boast that many flavor possibilities? Did I mention that Riesling is one of the most food-friendly wines in the world? Well, allow me to reiterate. 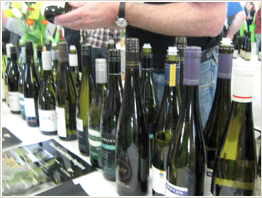 Riesling complements a whole range of flavors including ones that usually clash with other wines. Whether your meal is complex, spicy, fatty, or sweet, there’s likely to be a Riesling out there that will perfectly harmonize with it. Trocken: These are acutely bone-dry wines, so prepare your palate! Kabinett: These wines are made from grapes that are picked relatively early during harvest. While they can exhibit a touch of sweetness, most are on the dry side. Spätlese: This is the German term for late-harvest, but should not be confused with late-harvest dessert wines. Spätlese wines tend to be richer and more intense than Kabinetts, but are usually just off-dry, not excessively sweet. Auslese: These wines are made from very ripe grapes, are very lush and rich, and usually exhibit medium levels of sweetness. Beerenauslese: Rare wines that are usually made from hand-selected grapes that are affected by noble rot (Botrytis cinerea). These wines tend to be rich and unctuous, making them superb dessert wines. Trockenbeerenauslese: The sweetest and most highly prized of the bunch. These wines are made only in the best vintages from grapes that have become raisinated from botrytis. The sugar levels in the grapes become so concentrated that they produce glorious nectar-like wines. 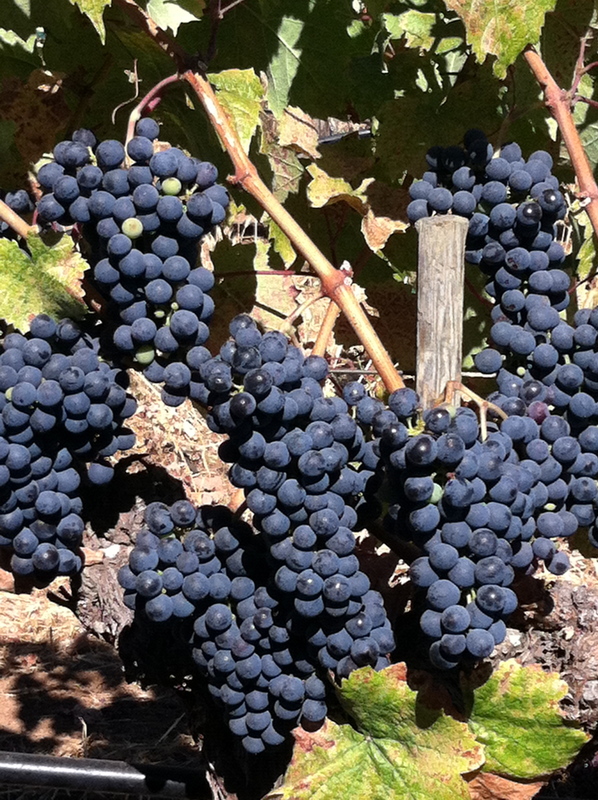 This entry was posted in Grape Varieties on November 23, 2015 by Kareasa.